Interior designing is not an easy task, it takes all courage, creativity and passion to have a design which would give an effective setting to human activities. In decorating houses, one big consideration that an interior designer would acknowledge is the availability of the space provided for the design. They must be very cautious and careful in choosing materials from textures and colors, even up to the simplest decor that they would incorporate to their designs. 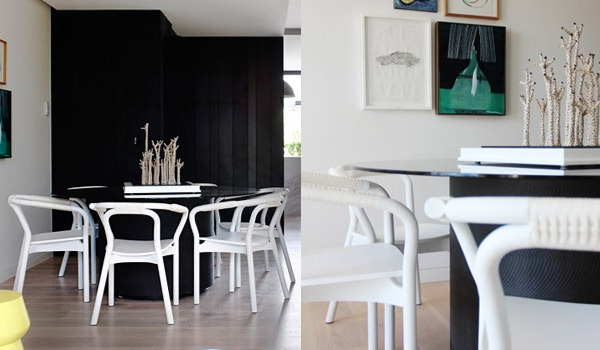 Nowadays, most of the interior designers would love to decorate houses by applying a contemporary look. 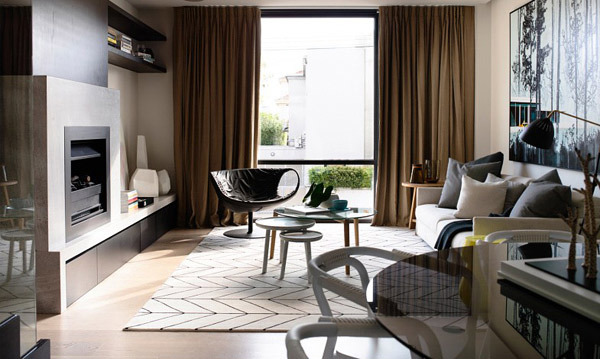 One example to this is this townhouse that displays a fresh line of contemporary style. Come and take a tour into its interior and be inspired by its design. 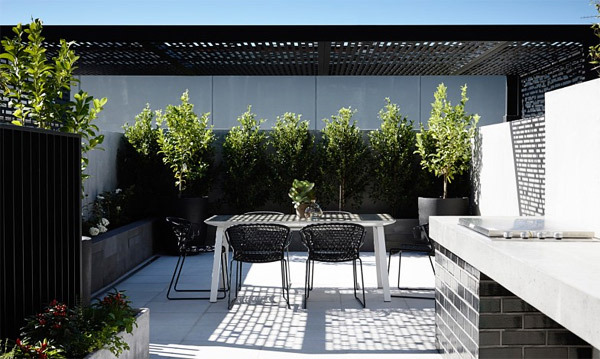 This townhouse is located in South Yarra, Melbourne. This edifice encloses a beautifully composed space that shows a very clean interior and a very comfortable place to settle in. It features a three level house which focuses on the details about the better-quality and the effectiveness of the design. As you go along with the photos you can see that the palettes used as well as for the furniture are in neutral colors that makes the interior look clean. To make the area more stylish and soft as well as having some strong texture it was well-coordinated with furniture and a decor that shows a vibrant color. This house also features a large quantity of natural light that goes through the house which makes the atmosphere clean. 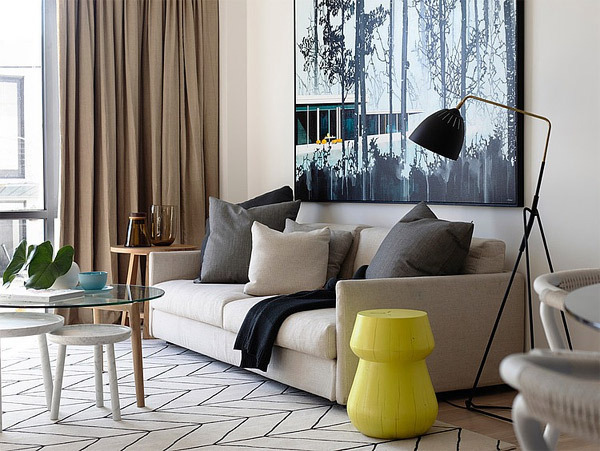 The living room is decorated beautifully with warm colors and a very huge frame of painting. The fireplace adds a striking accent to the living room. The high glass window with drapes is very dramatic. 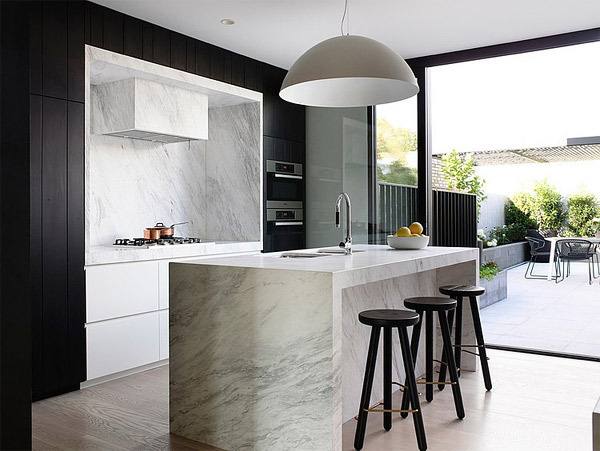 The kitchen appears to be clean and bold with the use of stones and monochromatic palette. 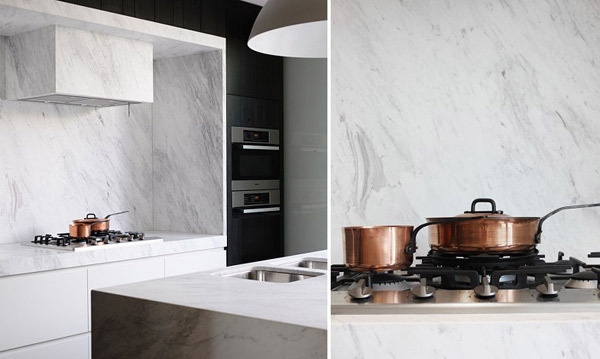 The cooking wares matches well with the colors and textures of the kitchen. The dining table is very modern in style featuring a glass table top with remarkable table centerpiece. The staircase looks very amazing! 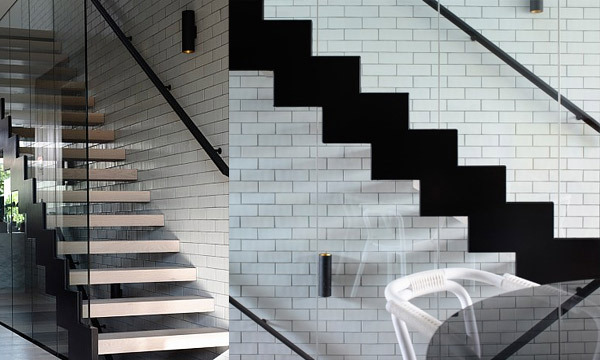 It has a transparent walling wherein the black paint hides the actual steps of the staircase. 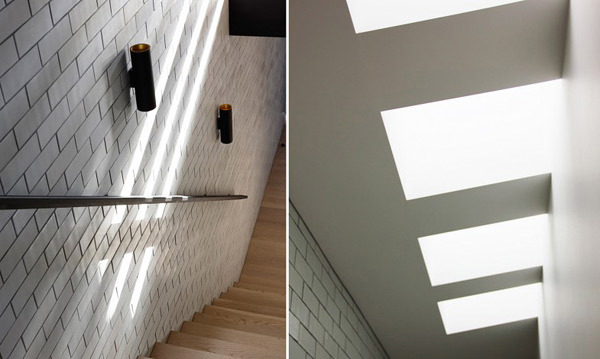 To provide enough light in the staircase, transparent ceiling was installed. 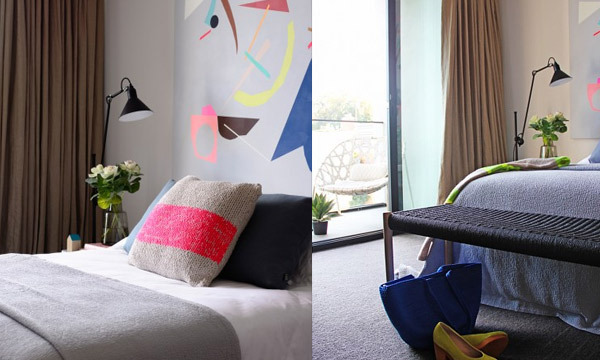 The simple design of your bedroom would be enhanced if you add a beautiful accent, just like a wallpaper or framed painting. 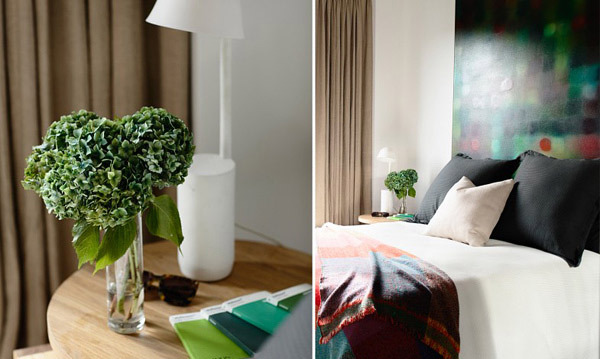 Vibrant colors and soft textures were utilized for the bedroom. The wide glass of sliding door adds light to the area. 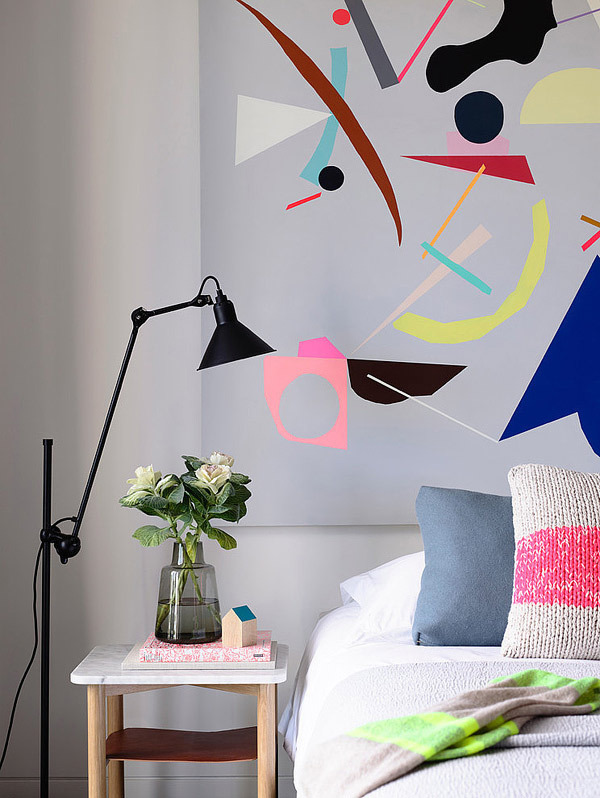 The color of the painting that hangs in the wall matches perfectly with the beddings. 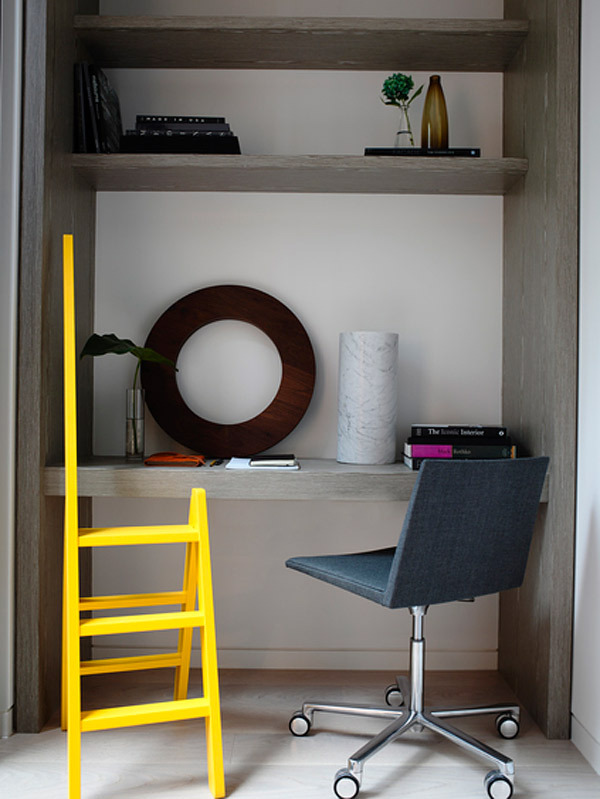 To conserve more spaces built-in tables and cabinets are a great idea. 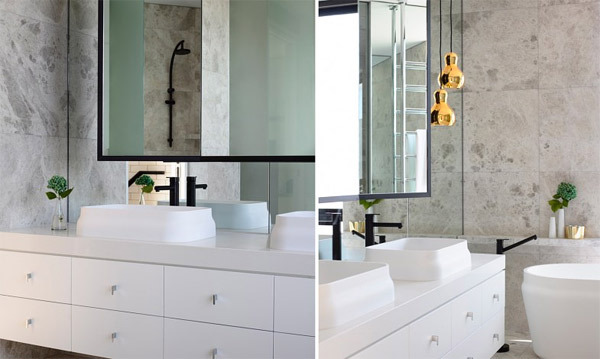 The bathroom has a good choice of colors and materials that gives a very refreshing aura. 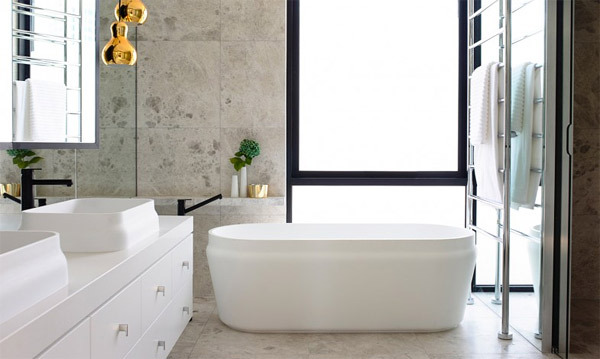 Refreshing bath is enjoyed in a free-standing bathroom tub that adds elegance to the area. The covered patio is great area where you can engulf fresh air and have some quality time with friends and family. Although this may just be a simple design, but still it shows a very modern and stylish interior that can be enjoyed as a perfect sanctuary. This creation by Mim Design greatly shows that simplicity and sophistication can be brought out through the utilization of simple materials and colors and by having a wider and deeper imagination of your design that will undoubtedly give you a brilliant creation.